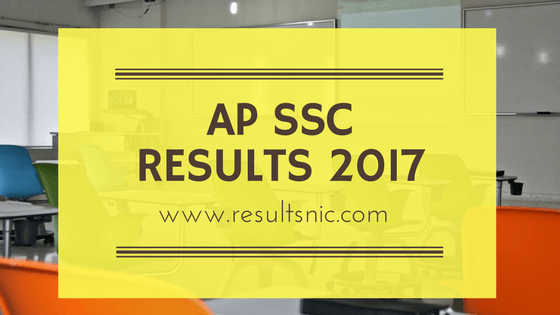 AP SSC Results 2017: - Andhra Pradesh Secondary School Examination 2017 Results are available on 6th May 2017. The AP 10th Class Results are released by Minister of Human Resources Development Ganta Srinivasa Rao on 6th May. Students who are waiting for 10th Class Results 2017 can get their results and mark sheets on the official websites. The Board of Secondary Education Andhra Pradesh (BSEAP) declared that the AP Class 10 result 2017 will be available from 6th May on bse.ap.gov.in. Students from Andhra Pradesh can get SSC Results for the academic year 2016 -2017 can check their result, marks and grade on these websites manabadi.com, bse.ap.gov.in. AP SSC Results 2017 Process: BSEAP has successfully conducted 10th Class examinations from 17th March 2017 to 1st April 2017. The evaluation of answer sheets has started on 3rd April and the process is almost finished now. Hence the 2017 BSEAP is releasing the 10th result on 6th May, while the last year the SSC result has released on 9th May. The Board has taken necessary steps to release the results in time with most accuracy. 6.28 Lakh students from Andhra Pradesh appeared for BSEAP SSC Exam 2017. The Board is releasing the complete results on time. The expected pass percentage is 95 to 96. In 2016 the pass percentage was 94%. Chief Minister M Chandrababu Naidu wishes good luck for all the students who expecting their result. BSEAP Supplementary examinations For AP 10th Class students are expected on July 2017. Nearly 50 to 70 thousand students are expected to appear for AP 10th class Supplementary Examinations in 2017. More details of the Supply Examinations are available after the official release of the results. The Applicaiton for this examiantion will be also available on the official website. This year for SSC Examinations, March 2017 marks are not provided in the Pass certificates for Regular/Without School Study and candidates who wrote all subjects. Only subject wise Grade along with Grade point assigned to it and Grade Point Average are shown in the Marksheet. These are the website where student can check their result using the roll number of AP 10th Class Examination. Students can also get the results on the Interactive Voice Recorder Mode and through SMS from the following numbers. Students can send their 10 Digit hall ticket number to the given SMS number to get the result in form of SMS. Students can easily check their results in form of SMS, and Email options.